What is the worst beauty nightmare a woman can wake up to? A tired and dull face just before she has to get ready for a meeting, party or most important of all- a wedding! Scary as it may seem, but here’s some good news. We compiled a list of detoxifying face mask that can make a woman look her glowing best regardless how tired her face looks. Say goodbye to tired, dull and puffy face woes with these amazing homemade face masks to detox your face in the best possible manner. Women, take note of these and all beautiful brides-to-be, add these already to your pre-wedding skin care regime. Coffee is known for its property to reduce swelling around the eyes while the antioxidants in cocoa powder work against ageing. To top it all, yoghurt provides intense moisture for a visibly glowing skin. You can also add some honey to the mixture for better results. Take 1 tsp of grinded coffee and add a tsp of cocoa powder and plain yoghurt in it. Mix these three ingredients well and apply it on your face. Wash it after 15 minutes and notice the radiance in your skin. Women who have regular acne, blackhead or other such skin problems can benefit greatly from this mask. Mix 2 tsp of tomato juice with 1 tsp of honey, and apply it on your face. Leave it on for 25 minutes before rinsing it off. This soothing face mask is an amazing overall beauty session for your face that you can indulge in at home. Grape mask is an excellent way to detox your face while reducing blemishes and tightening the skin. This is also an amazing face mask for women who have oily skin. Mix the juice of 4 seedless grapes with a little flour till it thickens into a paste. To this, add a quarter tsp of baking soda. Then, apply this mix on your face. Wash after 15 minutes and moisturise. Make a decoction by boiling 1 tsp of chopped parsley in water and let it rest for 15 minutes. Strain the herb, and when it cools down, apply it on your face. This will help flush out toxins from deep under the skin. It is a great way to clean your skin pores and to brighten your complexion. It is also an effective treatment to reduce spots and blackheads. If you are looking for a mask that cleans and tightens your skin pores and refreshes your tired looking face, then this is the one for you. Just mash a few strawberries and mix them with 1 tsp each of yoghurt and honey, and 2 tsp of lemon juice. Now, apply this paste on your face and rinse it off with cold water after a few minutes to reveal clear and rejuvenated face. Say goodbye to dry and dull skin with a banana mask. Mash a banana and add 1 tsp of honey and 2 tsp of sour cream in it. Now, mix this and apply the paste on your face. Let it dry for 15-20 minutes before rinsing it off. This pack will help to restore your skin’s lost moisture. What’s more? It will also unclog your skin pores and allow them to breathe. 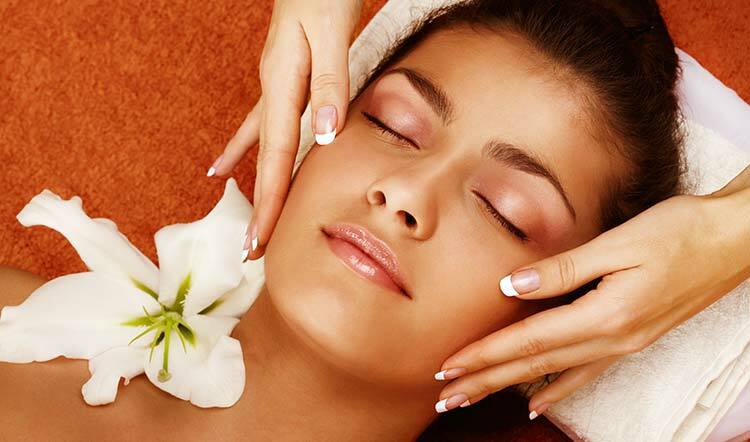 There is nothing like clay to detoxify the facial skin while toning and firming it. Especially, women with oily skin must try this face mask. Take 1 tsp of Kaolin clay and 1 tsp of apple cider vinegar and a few drops of your favourite essential oil in that. After the mask dries out completely, wash off and apply coconut oil to areas prone to dryness. You can also add rose water, milk or yoghurt to this mix. Chamomile is basically the queen of soothing teas, so it stands to reason that it would be soothing to your skin, too. Combine tea leaves with oats for gentle exfoliation and you’ve got one great mask for sensitive skin. You can also add honey to the face mask for better results.